The scorecards are in for the main event of “UFC London” tonight (Sat., Feb. 27, 2016) featuring Anderson Silva vs. Michael Bisping, and they’re pretty much what you might have expected. 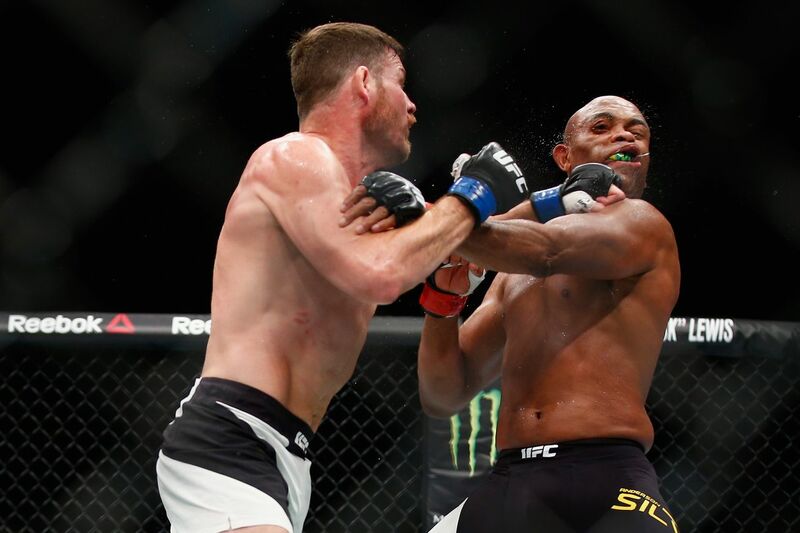 All three judges saw Bisping take the first two rounds and the fourth round, giving Silva the third and the fifth (and final) rounds. See highlights of Bizzy earning a close decision over Silva right here! That’s in contrast to how UFC president Dana White scored it, who saw it all even headed into the fifth round and scored the final for the former middleweight champion. However the interesting decision was to give Silva the third round as a 10-9. Although referee Herb Dean decided it wasn’t a stoppage, it seemed to me that the debate over whether a fighter was knocked out was certainly enough to give the round a 10-8. Hence the reason I actually scored the fight a draw during live scoring. Most other MMA media saw it exactly the same way as the judges, however, with 16 giving the nod to Bisping, and five to Silva. For complete coverage of the entire UFC Fight Night 84 card, including post-fight recaps and analysis, click here. Fallout Bellator 165: Did Michael Chandler Deserve His Win Over Ben Henderson?